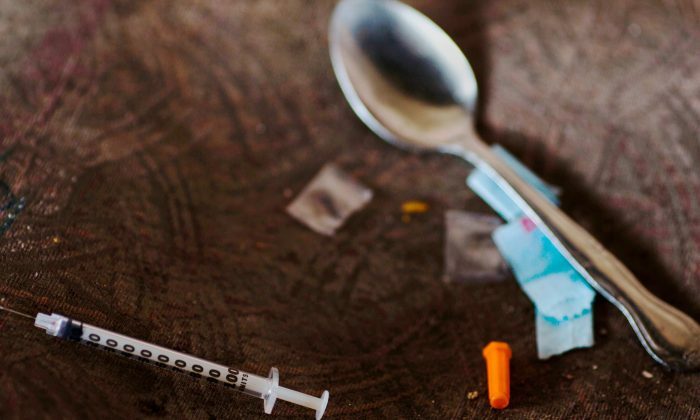 Officials in Ohio have broken up a heroin trafficking ring that involved illegal immigrants among the ringleaders. Six people were charged after the investigation and at least two of those are illegal immigrants, according to the Department of Justice. Omar Santos, 37, and Armando Reyes, 36, of Oxford were charged with possession with intent to distribute more than 100 grams of heroin, along with unlawful possession of firearms by an illegal alien and another related charge. Armando Gonzalez-Rosas, 25, of Fairfield and Felix Garcia-Rosas of Liberty Township, were charged with distribution of heroin. Miguel Monroy-Cuadros, 29, and Annel Reyes-Valdes, 28, of Fairfield, were charged with possession with intent to distribute more than 100 grams of heroin. According to the affidavit filed in support of the criminal complaint, the five men and one woman had planned out a heroin-trafficking ring in the Cincinnati area starting in October 2017. Drug Enforcement Administration (DEA) agents first infiltrated the scheme following a purchase of heroin from Gonzalez-Rosas in September. Monroy-Cuadros is believed to be the source of heroin for the group while Reyes-Valdes is said to have wired the proceeds to Mexico. After tapping a phone following the controlled purchase, investigators intercepted numerous calls and observed drug purchases between October 2017 and January 2018. In one instance on January 9, troopers with the Ohio State Highway Patrol found more than $132,446 in a vehicle that was linked to Monroy-Cuadros. Monroy-Cuadros was pulled over for a traffic stop two weeks later and officers found another $10,000 on him. Search warrants obtained near the culmination of the investigation for the farm at which Santos and Reyes lived in Oxford led to investigators finding several firearms as well as 300 grams of heroin. One hit, or dose, of heroin is around a tenth of a gram, noted the Journal-News. A home in Fairfield turned up several money transfer receipts. Five of the suspects were arrested on Jan. 31 while Garcia-Rosas remains a fugitive.